My grandfather, Gustav Berneburg, went to sea, starting at the latest in 1907 when he was 22 years old. Before that, he had been a stone-setter and a machinist and probably other things as well. 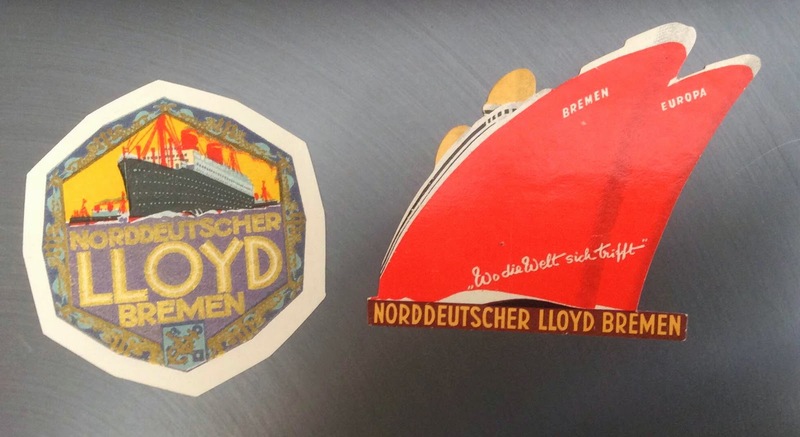 But somewhere around 1907 he went to work for Norddeutcher-Lloyd (North German Lloyd) and began his first of many trips across the ocean. 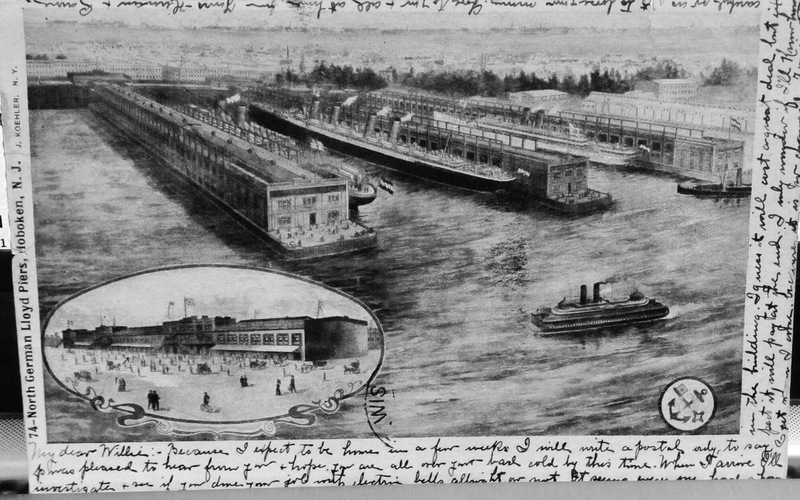 The ships didn't actually dock in New York; they went to Hoboken, New Jersey, just on the other side of the Hudson River. On one ship's manifests, he shows up on a list of "Deserters." This doesn't necessarily mean that he abandoned his ship -- men signed on for a particular length of time, and if they wanted to leave early, the company would list them as deserters so they wouldn't have to pay them for the rest of their contract. The notation is dated January 5, 1924; interestingly, on Gustav's obituary it notes him having come to the United States in 1924 and staying permanently. I do know that there was a time of several years that he lived apart from his family; at the same time he was working for NDL again and went back and forth to Bremen many times, and of course saw his family (my mother was conceived in late 1925, probably). The rest of the family came to America in 1928. Grandpa and "the boys" on board ship. 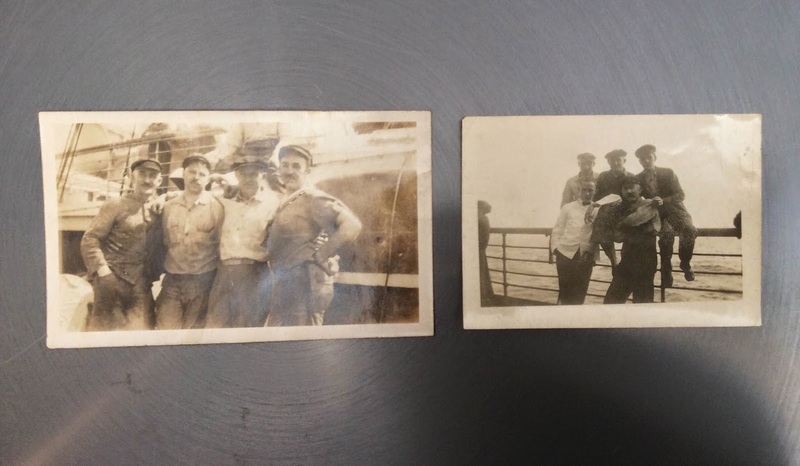 Grandpa is far left in the first pic and right standing on deck in the second. No one knows who this is, but clearly she was important to my grandfather. And my mother said that in the midst of an argument once, my grandmother took a photo album decorated with mother-of-pearl that Grandpa had brought back from Japan and threw it in the garbage. 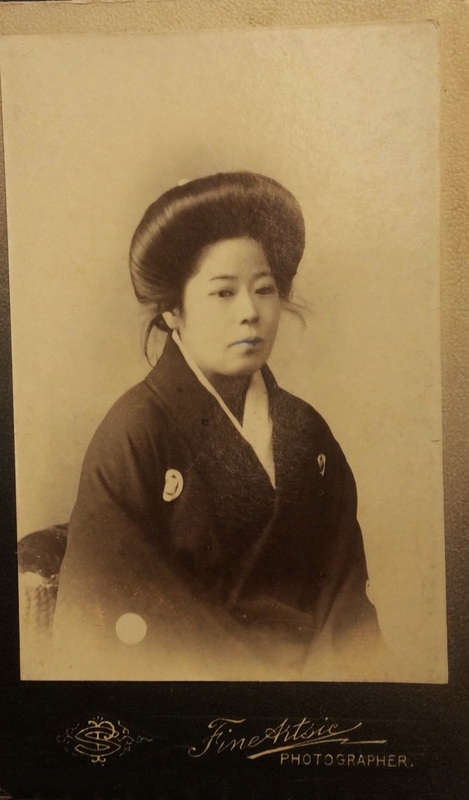 Circumstantial evidence, to be sure, but could he have had another wife/another life in Japan? We'll never know, but if your surname is Berneburg and you're Japanese, email me, okay? Oh, and my mother fished the album out of the garden and hid it. I have it now. Thank you for sharing this fascinating research, it sounds like your Grandfather had quite a life! And well done to your mother for rescuing the photo album, they are priceless aren't they? 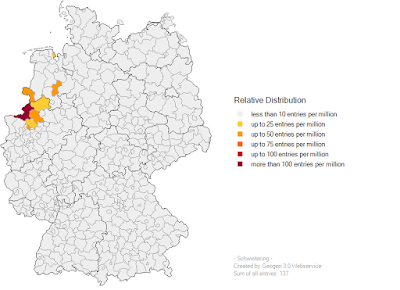 Looking for a German Surname? Try Geogen. While I'm not an expert on genealogy by any means, I have been researching for a number of years and have learned a few things along the way. Since 100% of my non-US research is in Germany, many of the things I've learned are about doing research in that difficult venue. Joining Ancestry and hoping for the best won't get you much of anywhere, I'm afraid. 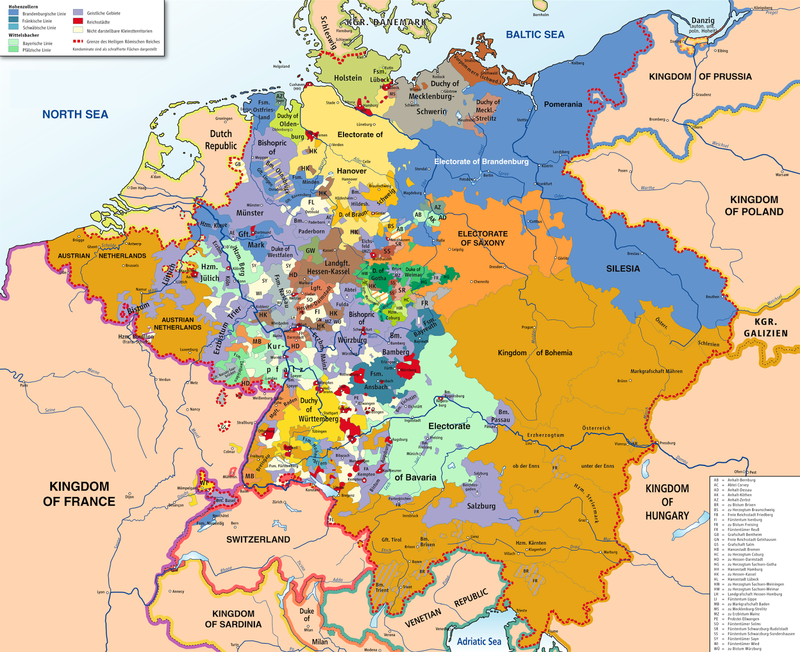 I'd like to share some of the resources I've tapped into in doing my German research, in the hope that it might help some who are just getting into it. 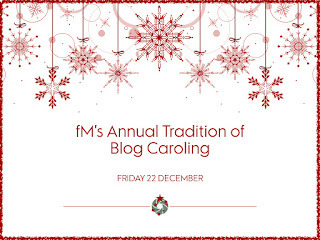 "The Holly and the Ivy" is an English carol that probably had its origins in the 18th century. Holly is an ancient symbol for Christ, sometimes referred to as "Christ's thorns," and the berries stand in for drops of blood. The holly and the ivy together represent Jesus and the Virgin Mary. The use of holly and ivy as decorations predates Christ, however -- they go back to Roman times and pagan celebrations. The melody is simple and sweet. Why does the ivy appear so little in the song? Folklorists guess that it's a holdover from older songs like "The Contest between the Holly and the Ivy," in which the holly represents the masculine and the ivy the feminine. The symbolism is embedded in the lyrics. I am a retired college English professor who has reinvented herself as a fine art photographer, watercolor painter, and genealogist (among other things). I've spent my working life teaching other people to write, and now I will take some time to get back to writing myself. Help, Please: And Then There Were Thirty-Nine! Sorting Saturday: Rage against the mother! Oh no! My ancestor was illegitimate! A Brick Wall Tumbles Down! With Tips!